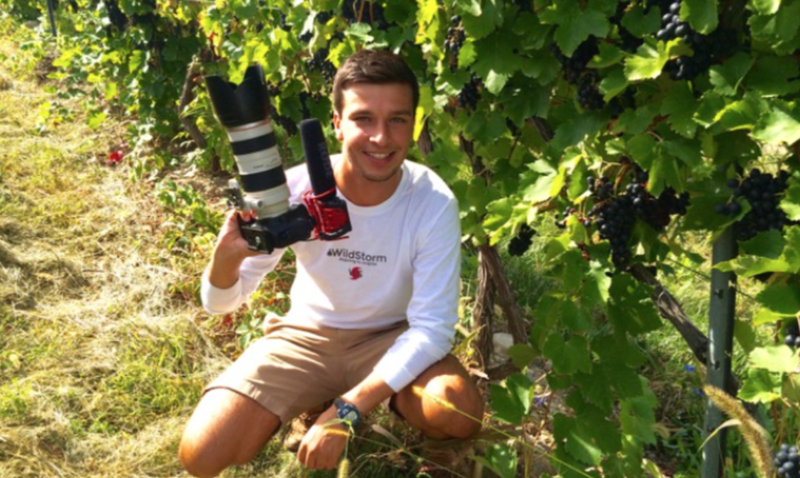 Jack filmmaking in a vineyard on the southeastern shore of Seneca Lake in the Finger lakes region of upstate New York. Here you'll find Finger Lakes wine recommendations from the director and host, Jack Kauffman. Kauffman is a Certified Sommelier appointed by the Court of Master Sommeliers, studied wine in Provence and the Southern Rhone Valley of France while living there for five months, has visited numerous wine regions around the globe, and will be opening a wine bar in Charleston, South Carolina during September of 2017. Most importantly however, Kauffman spent four years in what many call the heart of the Finger Lakes, Geneva, for his undergraduate degree at Hobart & William Smith Colleges. These four years in Geneva allowed him to develop a deep understanding of the Finger Lakes wine region. Upon completing the film, Uncorked Potential, Kauffman has taken it upon himself to vet the very best wines of the Finger Lakes for your tasting pleasure. Jack tasting wine out of the barrel at Bodega Gutierrez-Colosia in El Puerto de Santa Maria, Spain. He was there to meet the family behind the winery and vet the wines for his wine bar in Charleston, South Carolina. Boundary Breaks seems to have come out of nowhere, with three main riesling variants, all of them wonderful. Great syrah, and from the Finger Lakes no less! Here's a short video I produced on its flavor profile: https://vimeo.com/162203242 Other Billsboro wines are great too, such as their rosé of pinot noir! Wonderful rosé aided by 5% riesling blended in giving it a great acid backbone and fuller mouthfeel. You can't go wrong with any of Dr. Frank's offerings, but the gewürztraminer and grüner veltliner are my favorites of the whites. As for the reds, the saperavi and cuvee d'amor are among my favorite reds in the entire northeastern United States, and have the potential to age for a long time. Incredible full body, semi-fruit forward wines - and there's no overly herbaceous issues as with most FLX reds! Other honorable mentions include the Maximillian (Meritage/Bordeaux blend) from Ravines Wine Cellars, and the Reserve Cabernet Franc from Hermann J. Wiemer Vineyards. Both also do a great job with their rieslings, and Hermann J. Wiemer in particular does a fantastic job with their sparkling blanc de blanc and blanc de noir. You really can't go wrong with any wine on offer from either of these stellar producers. Hunt Country Vineyards does a good job with all of their wines, but really shines with its dessert wines. If you are lucky enough to get your hands on a 2007 vidal blanc ice wine I highly recommend it, or any vintage vidal blanc ice wine from Hunt Country for that matter. Their sweet sherry and port style wines are also very nice. If you have any questions or would like a personal Finger Lakes wine tour itinerary organized by Jack, please head to the contact tab with your inquiry. Ethics statement: Jack recognizes the fact that there are many other great wines in the Finger Lakes, but until he has had a chance to personally try them, he cannot recommend them. If you are a Finger Lakes winery and want your wine reviewed by Jack, please head to the contact tab.